You never think it’ll happen to you until you find yourself on the side of the road with a crumpled fender, or worse, a lap full of glass and an airbag in your face. Even if it’s only minor, chances are good that you’ll be involved in an accident at some point in your lifetime. Do you know what to do after an accident? We’ll help you figure it out so that when and if an accident happens you’ll be prepared. Now that we’ve listed out five basic steps to take after an accident, let’s get a bit more specific. Frequently, an accident won’t be fatal, but it’ll be enough to cause significant stress and likely ruin your day. If you get in a minor accident, put on your emergency flashers and move to the side of the road as quickly and safely as possible. It may be helpful to carry safety cones in your car that you can place down to warn other vehicles that you are stopped. As soon as possible, you should call the police, even if the crash is minor. You’ll likely need to fill out an accident report once the police arrive. Be sure to have all your vehicle information and registration on hand. You’d also be well-advised to call your insurance agent as soon as possible to report damages and get everything started. Take good notes of what the damages were and what happened. Don’t admit fault verbally even if you think it was your fault. 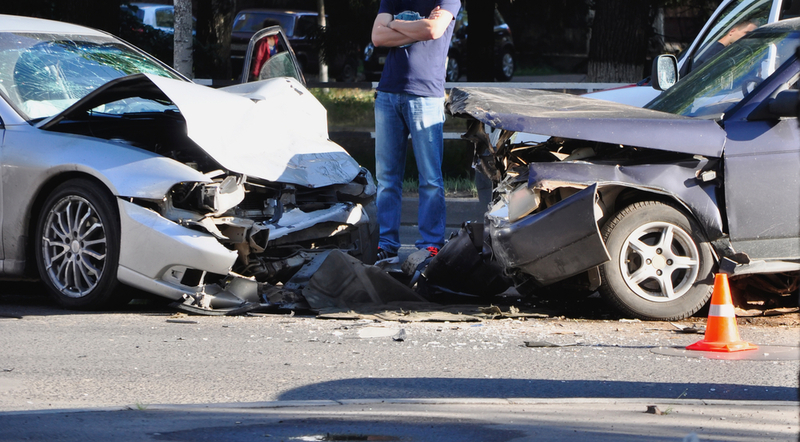 In a major car accident, there are likely to be injuries. If you are uninjured, check on all others involved in the accident to see who has been hurt and the severity of each injury. Call the police immediately. If someone has a head or neck injury or is unconscious, do not move them until medical personnel arrive. The only exception would be if the person is near a vehicle that is on fire or about to explode. Especially if the accident is major, it’s important to remain calm. Take some deep breaths and do all you can to think logically. Remember that becoming emotionally wound up will only worsen the situation. The sooner you can get medical personnel on the scene, the better, so be sure to contact them as soon as you can. When immediate injuries are taken care of, try to get a photo of your vehicle if you can for insurance purposes and assessing damages. Though you hope an accident will never happen to you, it’s a good idea to be prepared. Have insurance cards, medical information, and vehicle information easily accessible. Prepare an emergency roadside kit and have it in your vehicle. Remain calm and think logically. You may even consider taking an online driving course to help you know how best to avoid an accident in the first place. Overall, remember that the more prepared you are, the better you can help all involved when there is an accident as you will be a source of calm. Get prepared, remember the basic steps, and hit the road with more confidence.